A decade-long lawsuit over Putah Creek hinged on the question: how much water should we give to fish? Robin Kulakow hoisted her 1-year-old son David in a toddler backpack and joined the rest of the Putah Creek Council leadership on the parched creek bed behind Manfred Kusch’s house. It was Aug. 14, 1990. The week before had been an endless stretch of sweltering 100-degree days, but the heat wave broke that Tuesday. Kulakow watched as Susan Sanders took her place in front of a rolling News 10 camera: The Putah Creek Council had decided to officially file a lawsuit against the Solano County Water Agency and Solano Irrigation District to secure water for the creek. The decision was controversial, but the council had exhausted its other options. A month before, the Bureau of Reclamation had agreed to send 3,000 acre-feet of water down the creek from Monticello Dam. But the Solano County Water Agency blocked the agreement, and the State Water Resources Board backed it up. The Council based its lawsuit on a growing body of law that linked the “public trust doctrine” and two sentences in the California Fish and Game Code: Section 5937. Public trust dates back to sixth century Roman law, which deemed certain resources too valuable to be controlled by private entities. Governments were obliged to maintain the sea, shoreline and streams for public use. Romans applied this to preserve public passage on navigable waters. Centuries later, it was adopted by the Magna Carta before passing on to the American Colonies. Article 10 of California’s Constitution pulls directly from the public trust doctrine. It allows for beneficial but not excessive use of any "natural stream or watercourse." The distinction was not defined. But over the decades prior to the Putah Creek case, the idea of the public trust had taken on new dimensions. In 1971, a dispute over tidelands in Marin County expanded the use of public doctrine to protect waterways for recreation and ecological preservation. While serving on a state commission during Governor Jerry Brown’s first term, UC Davis law professor Harrison Dunning was one of the first to realize the doctrine’s potential to protect state rivers. Soon after, he organized the first conference on public trust applications to environmental law, held in King’s Hall on the south end of the university campus. The resulting collection of articles shaped new thinking about the government’s responsibility as a steward of the environment. Just three years later, the California Supreme Court would cite a number of those articles in its landmark 1983 ruling on National Audubon Society v. Superior Court — also known as the Mono Lake case. Mono Lake, a salty, land-locked body of water just east of Yosemite National Park, became a national headline when the Los Angeles Department of Water and Power was sued for diverting an excessive amount of water from the lake’s inflow. Between 1941, when diversions started, and 1979, when the case arrived in court, the lake had shrunk 30 percent. The dropping surface level opened a path from the shore to an island on the lake where migrating gulls nested, leaving them open to predation. The state Supreme Court ruled that the State Water Resources Board had violated the public trust doctrine in granting Los Angeles essentially all the water from the creeks that flowed into the lake. 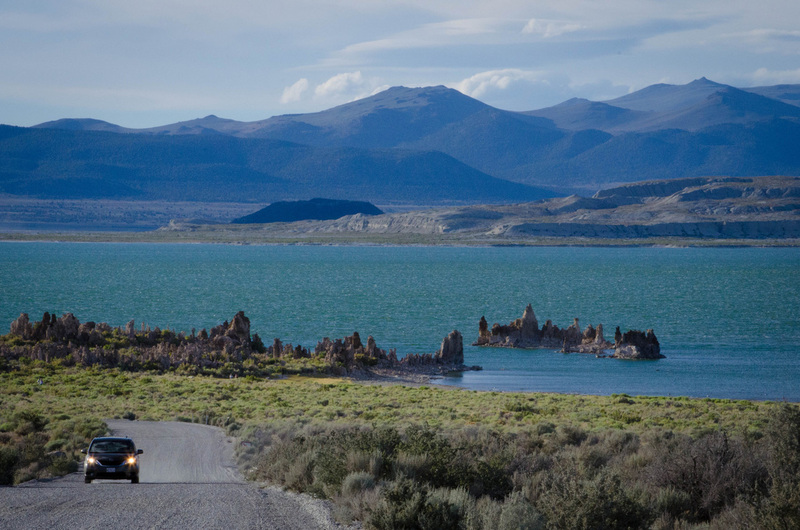 The Mono Lake cases continued the momentum of legislation like the Clean Air Act and Clean Water Act, which enshrined into law the government’s obligation to consider the needs of the environment when determining water rights and allocations. This ruling was reinforced by a second lawsuit brought by a couple of fishermen in 1984, which made a complementary claim. The fishermen successfully argued that California Fish and Game Code, Section 5937, required dam operators to keep water in Rush and Lee Vinning creeks, which hosted a healthy trout population in waters that feed Mono Lake. Adopted in 1915, California Fish and Game Code 5937 requires dam operators to provide for the welfare of fish downstream from their dams. Or at least, it intended to. Dam owners largely ignored this obligation, and it went unenforced by state agencies for three-quarters of a century. By the 1950s, it was essentially a dead law. Together with the Rush and Lee Vining Creeks cases and a second lawsuit brought against Friant Dam on the San Joaquin river in 1988, Section 5937 was beginning to show signs of life. The Putah Creek case accelerated its revival. The Council argued that the Solano water agencies were violating both the public trust doctrine and 5937 by refusing to release water for downstream fish. The Putah Creek Council wanted four types of water: perennial flows, which would restore water to the creek year round; spawning flows, spring-timed surges that would encourage resident fish populations to lay their eggs; anadromous flows, extra high pulses of water in the winter that would bring migrational salmon and trout upstream, and flushing flows to scour the creek, like a natural flood event. Congressman Vic Fazio spearheaded pre-trial mediation efforts. He secured hundreds of thousands of dollars in funding for environmental studies of the entire watershed and hired in Bill Dendy, a well-known mediator, to find a middle ground between the two parties. But any ground is hard to find in a dispute about water. “At the time it was ‘tut tut, quit bothering us, we have important things to do.’ It was hard for [the water agencies] to come to an age of environmental stewardship,” Sanders said. “It’s different now. But when you find something you think is important, you don’t settle, you don’t give in. Sanders politely described the mediation process as antagonistic. The negotiations moved along slowly. Over six years, the two sides agreed on a master plan for what to do once they had a flowing creek. But the amount of water needed to keep the creek alive remained bitterly elusive. In March 1996, after six years of dammed negotiations, the creek finally washed into court: The Putah Creek Council, UC Davis and City of Davis on one side, and Solano County’s water agencies and cities on the other. The Council needed to establish three items: one, that the creek served the public; two that the fish downstream from Monticello were suffering from the lack of water; and three, that Putah Creek was a naturally perennial stream – that before Monticello, it had enough water to support native fish populations year round. “That was an absolutely critical legal and water right hurdle to get across,” Chainey said. One by one, witnesses -- biologists, ecologists, hydrologists, farmers, fishermen, water managers -- took the stand. The farmers, as much as they sided with anyone, testified for the Council. 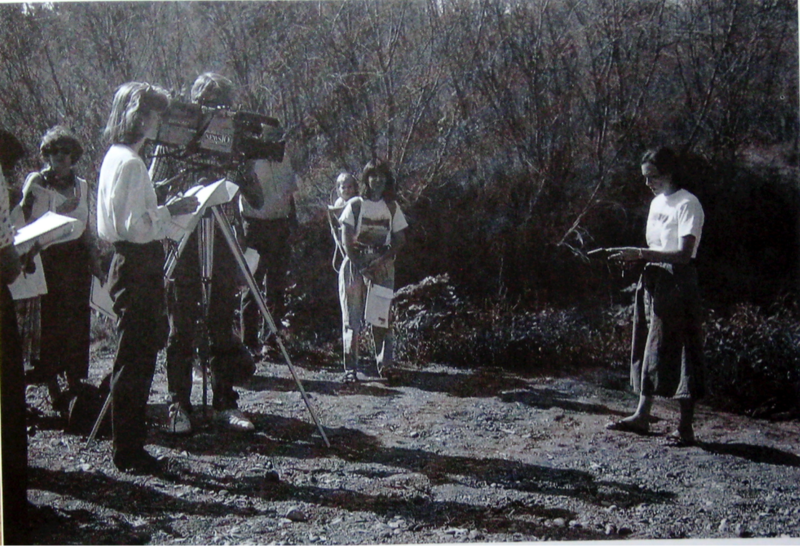 The SCWA had sued all of the private landowners along Putah Creek, including UC Davis, in 1989. The water agencies suspected some were illegally diverting water and causing the creek to run dry faster than it normally would. “They were livid. Madder than hell,” said Dennis Kilkenny, who grew up playing in the creek and bought property along it in the early 1990s. This adjudication poisoned any relationship between landowners and the water agencies for the next decade, a decisive break that haunted them throughout the trial. At least once a year for more than a decade, he had waded up and down the creek, catching, recording and releasing bluegill, carp, sunfish, squawfish, perch, lamprey, hitch and another dozen species. In the trial, Moyle defined good condition to mean healthy fish living in sustainable populations and part of robust biotic communities. Native populations in the creek failed all three counts. Near the end of the trial, Steve Chainey was called back to the stand for a cross-examination. The Council’s co-founder, he was also testifying in his capacity as an ecologist. After a few minor questions, the Solano lawyer stacked more than 50 black-and-white photographs in front of Chainey. He handed Chainey one of the pictures. It showed a rocky bed where Putah Creek dropped into the Monticello Valley. “And all you could see was gravel. No water,” Chainey recalled. These, the lawyer alleged, proved the creek wasn’t perennial. This late in the trial, all evidence should have been shared between the opposing sides, but Solano submitted they had only just uncovered these records. The judge allowed Chainey a weekend to review the evidence. Chainey slept little that weekend, puzzling over the photographs. He rolled out a three-by-four foot topographic map, and began matching each square image with its location, a landmark here, a bend in the river there. By Sunday, he had rebuilt the valley. The image he’d seen in court was only part of the story. Aside from two spots, he realized he could trace a thin-black line all the way from the top of the valley to Devil’s Gate out the bottom. Clear water, in black-and-white photography, shows up black. Those two spots, he realized, hadn’t run dry -- the water was simply percolating under shallow gravel deposited as the river lost energy dropping into the valley and past the three-arch stone bridge. Its continuous flow throughout the rest of the valley proved the creek was, in fact, perennial. “Their stink bomb turned into our stick bomb,” Chainey said, still a little gleeful after all these years. On July 19, weeks after the trial had ended, Chainey, Sanders, Kulakow, Julian, Moyle and others settled down on the right side of the courtroom. Solano’s lawyers and water directors sat stoic on the left. Not a single chair in the gallery was left open. “We knew even if we won — and we didn’t know which way it was going to go — we didn’t want to create bad blood,” Chainey said. The bailiff announced the judge’s entrance, and the room stood. Judge Richard Park settled into his bench. The room fell silent. After six years of injunctions, negotiations, mediations and courtroom testimony, Judge Park ruled clearly and with little room for misinterpretation. “There was so much emotion at that point that it was really hard not to shout with joy,” Chainey said. Park’s ruling lasted 15 minutes. The Solano side packed up quietly and left the room. Judge Park, a fly fisherman himself, granted Putah Creek perennial and spawning flows. The extra 10,000 acre-feet would turn Putah into a living stream without harming Solano interests, he declared, and it was water they could easily make up via groundwater pumping and conservation. He rejected the Council’s bid for anadromous flows. He denied, too, their request for flushing flows that would help clear debris; nature seemed to flood the creek often enough on its own. But his ruling was undeniably a victory for the council, and for Kulakow, Sanders and Chainey. After the ruling, the Council celebrated with pizza and beer at the Tower Café on Broadway. “I was feeling shocked, because this had been a constant in our lives for so long,” Kulakow said. The Solano interests filed an appeal later that year, and the City of Davis and the Council filed a counter-appeal early the following year. But both sides settled into four years of good-faith negotiations. “Once we got what we wanted, there was no impediment to becoming friends,” Sanders said. But after six years of exhaustive litigation, Sanders moved out of the county to Nevada City in 1996. Chainey stepped down as co-chair and moved to Berkeley in the early 2000s. Joe Krovoza, a water lawyer and the new Putah Creek Council chair who would go on to be mayor of Davis, took over the negotiations. Meanwhile, SCWA recognized that it was likely to lose its appeal in a state that now had a record of granting environmental water rights. Eventually, Moyle drew up a flow regime that satisfied the council and the judgment, and that the water agencies could live with. It even provided for the anadromous flows that Judge Park had denied. The agreement also required SCWA to pay $410,000 annually toward creek restoration projects through a committee of representatives from both counties. That left the Council with a decision: if they chose to pursue their appeal, they might be able to set a legal precedent that would affect other dam operations in the state. But doing so would risk their relationship with SCWA and prolong an already exhausting process. They had what they wanted: water for their creek. Both sides dropped their appeals, which meant that Putah Creek would not set a legal precedent like the Mono Lake case had done. It would purely serve as an agreement between a public water agency and the public trust. Correction: Bill Dendy was initially described as a "labor negotiator". He is a mediator who has specialized in water rights.